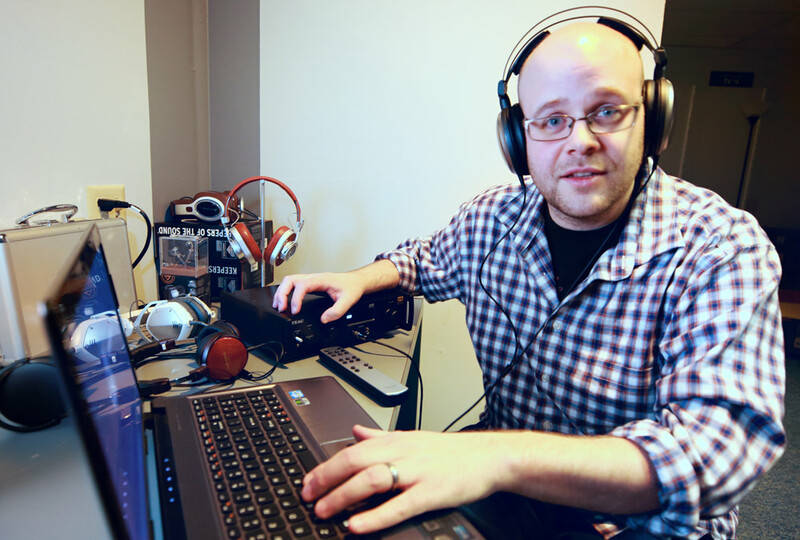 I'm a firm believer that a good pair of speakers should "get out of the way" of the music that's being played. That's to say, they should provide a transparent sonic window through which musical recordings can shine as clearly as possible. 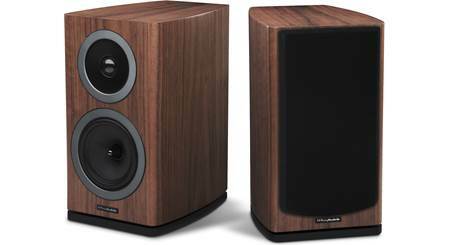 The Wharfedale Reva 2 bookshelf speakers accomplish this splendidly, providing natural, revealing sound without coloration — all while looking spectacular, too. 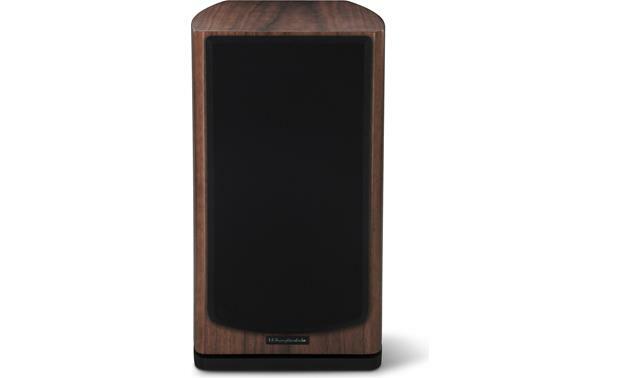 Each gorgeous Wharfedale Reva 2 bookshelf speaker receives seven layers of hand-applied lacquer (shown in Piano Deep Rosewood). Each Reva 2 sports a 5" woven glass fiber woofer and a 1" textile dome tweeter. Together these high-tech drivers create a wide, full soundstage with pinpoint imaging. They also produce a surprising amount of bass, given their size. 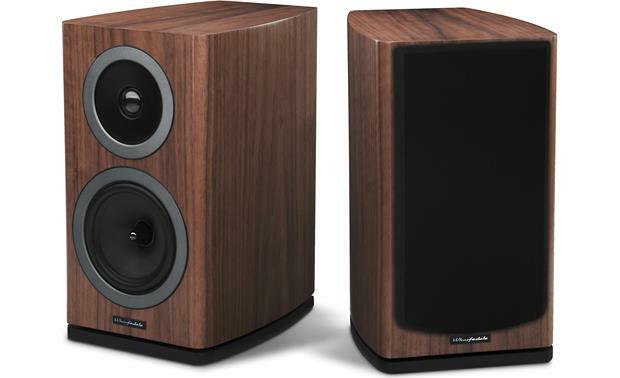 These speakers are an excellent choice for an audiophile-level stereo system. 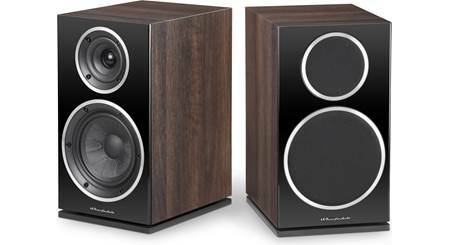 They're also ideal for the front or surround channels of a Wharfedale home theater system, pairing beautifully with the Reva series center channel and floor-standing speakers. 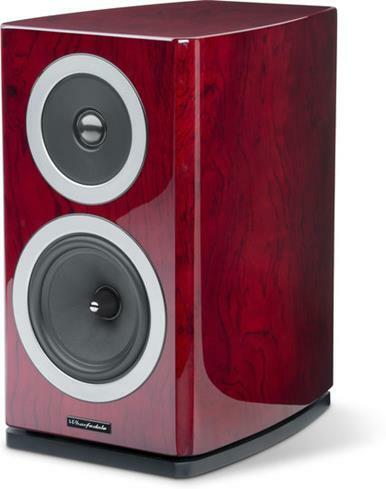 Wharfedale paid special attention to the design of the Reva 2s' attractive curved cabinets. They used advanced computer modeling to craft non-resonant enclosures with stiff walls and robust internal bracing. A slot-loaded port on the underside reinforces bass performance. The Reva 2s don't just sound good — they have a refined, upscale appearance that adds visual interest to your room. Each cabinet receives seven layers of hand-applied lacquer, adding an attractive finish that really stands out. On the back of each speaker you'll find two sets of speaker input terminals. 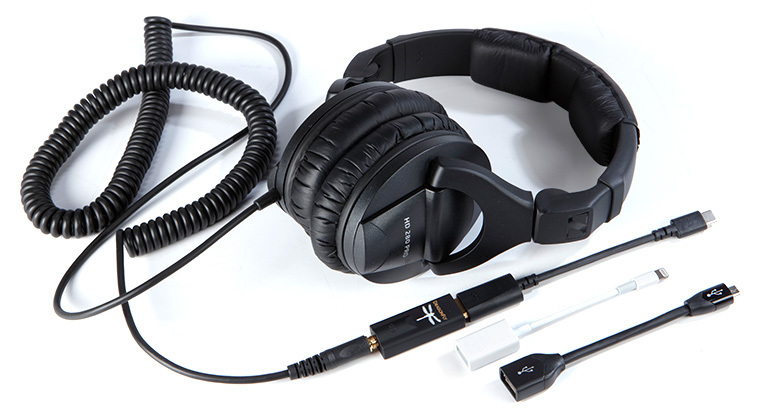 These let you bi-amp or bi-wire your Reva 2s to get the best sound out of them. Two-Way Driver Design: The Wharfedale Reva-2 is a two-way bookshelf loudspeaker which incorporates a 1" textile-dome tweeter and a 5" glass fiber weave cone woofer. A finely tuned crossover guarantees a smooth transition between the tweeter and woofer with an enjoyable audible experience, both on and off-axis. 1" Textile Dome Tweeter: A new, fine weave textile dome, with critically damped coating, has been chosen for the 1" tweeter, powered by a Neodymium magnet fitted with a finned heatsink to reduce dynamic compression. This unit offers excellent bandwidth, with a smooth response from 2kHz to above 20kHz, and is mounted on a subtly dished waveguide that enhances dispersion. 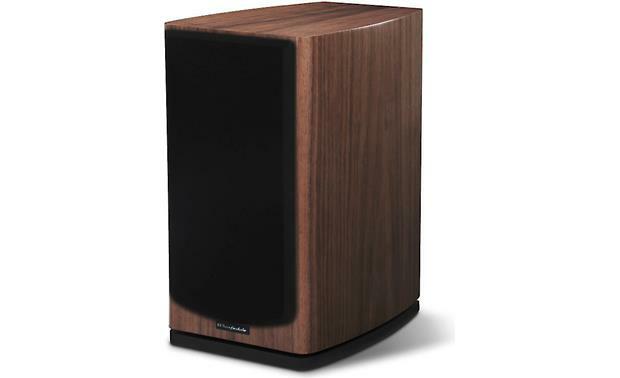 5" Glass Fiber Woofer: Musical accuracy and articulation is carried through to the midrange by a midrange/midbass driver cone that incorporates a proprietary glass fiber weave that is naturally self-damping to reduce and distribute resonances to virtually negligible levels. The cone is mounted in a special alloy, cast chassis to ensure dynamic rigidity and a fixed, profiled phase plug ensures a smooth acoustic roll-off to enhance integration with the tweeter. Dual Binding Posts: Each bookshelf loudspeaker has two sets of binding posts connected by jumper-plates. The binding posts will accept bare wire (up to 10AWG), pin connectors, spade connectors, & banana plugs (single only). Using these dual binding posts, you can bi-amp or bi-wire the speakers. Bi-wiring or bi-amping the speakers provide improved bass & treble performance. If you decide to bi-wire or bi-amp, you must remove the jumpers between the terminal posts (failure to do this could result in damage to your amplifier and loudspeakers). Mounting Options: These bookshelf loudspeakers can simply be mounted on stands, shelves, or other piece of AV furniture with a flat surface. 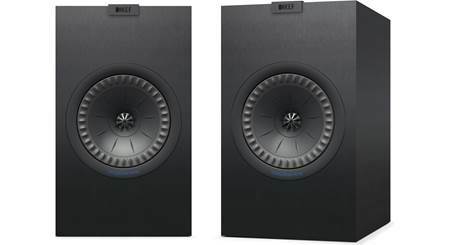 Eight self-adhesive rubber feet (4 for each speaker) are included to protect the bottom of the speaker and the mounting surface, while isolating the speaker cabinets from the mounting surface. 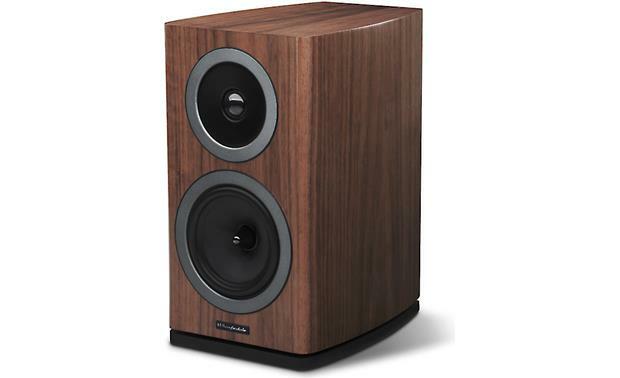 The rubber feet add approximately 0.375" to the overall height of the speakers. 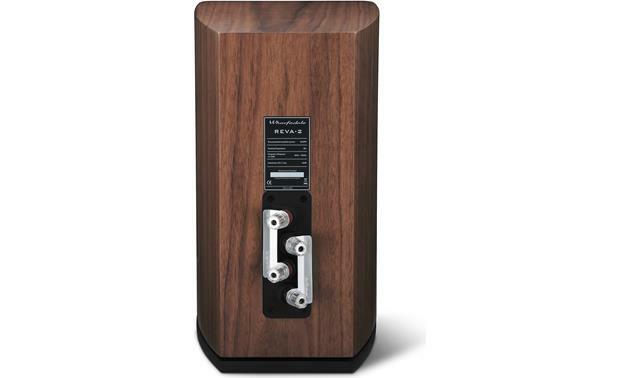 Note: The speakers do not include any type of wall-mount bracket, keyhole slot, or threaded insert. 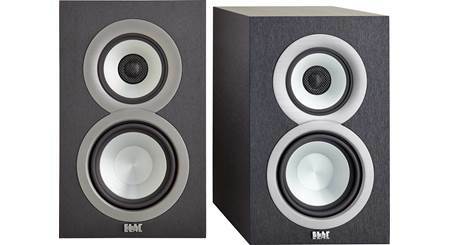 Searches related to the Wharfedale Reva 2 Bookshelf speakers.